I got the normal Saturday I wished for. Malida made some ineffectual noises about going up to see the snow, but I made an argument for just having a normal Saturday, and she agreed. We are driving down to the Bay Area today anyway, so it was good to stay put. I spent the early morning looking at airfares to Thailand and bought our tickets for July. We will be there for 21 days. It will be the first time I have been there in July. I think it is the rainy season, which is fine--everything will be green. I can't wait! We went out for a walk along Laguna Creek, as is our custom. Even though it was overcast, there were a lot of people out. 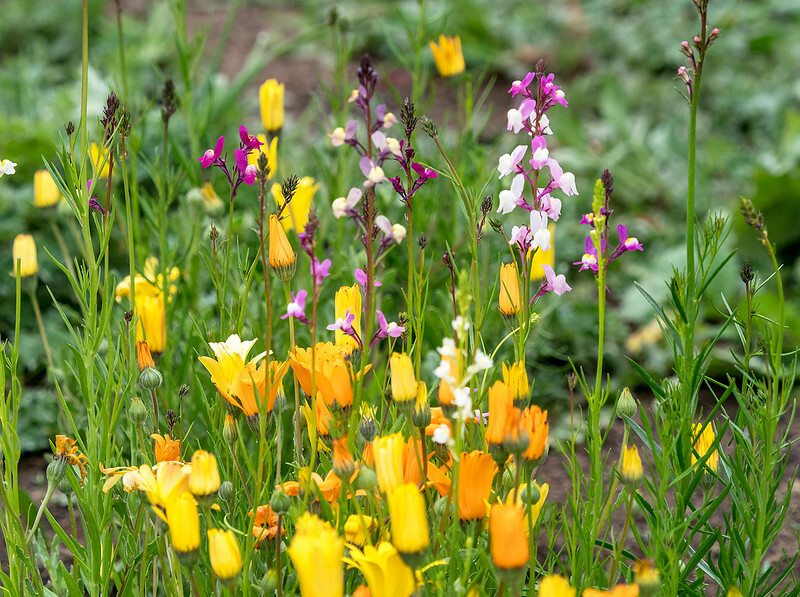 Wildflowers are blooming. I took a picture--it's in the same spot as the one from the other day, but since it is a new day, it is a new view. No two moments are ever the same. I guess. 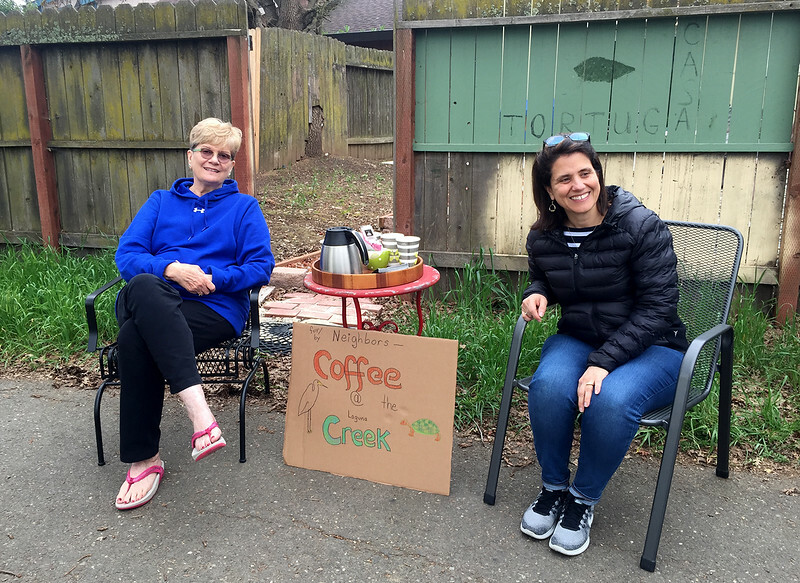 As we were walking back, we came across two women serving coffee out in front of Casa Tortuga. They just wanted to be neighborly, and meet people who frequented the trail. I thought that was pretty awesome, and we spent a few minutes talking with them. I was already hopped up on three cups of coffee, so I didn't partake this time. They said they were going to do this every month, so maybe next time! Linda and Michelle at Casa Tortuga. As often as I walk that trail, there is almost always something new and interesting to see, which underscores the point I made a second ago that no two moments are the same (I guess). The next line after yesterday's book quote read, "Everything happens only once!" 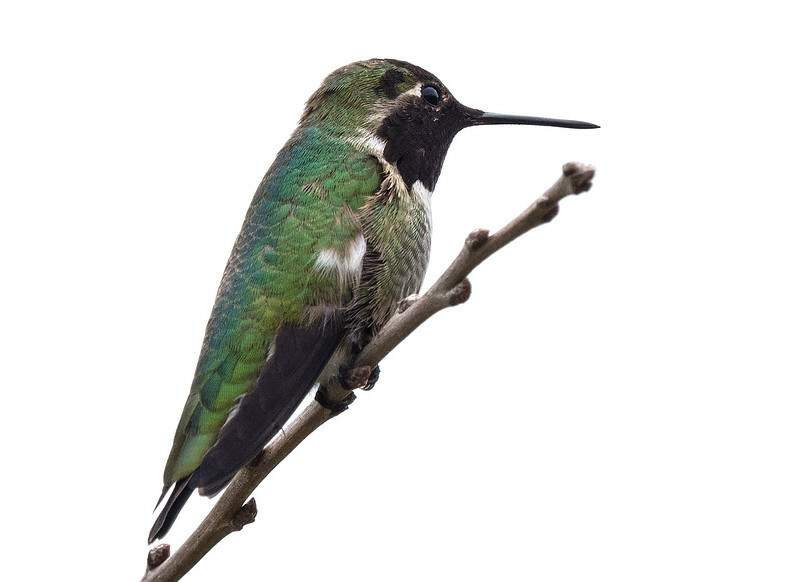 I was standing waiting for Malida to take a picture of something and glanced up and saw this hummingbird sitting on a branch a few feet from me. He sat there long enough for me to get a couple of pictures. Because of the overcast sky, it almost looks like it was taken in a studio. After our walk, we went to the noodle place for lunch, then to the store for our weekly shopping. On the way home we stopped at the nursery for some mulch for our planting beds, which Malida so graciously cleared the other day. She saw a dwarf kumquat tree and bought it to add to our growing collection of plants and trees on our front patio. We get some nice morning sun out there, so stuff seems to grow well. 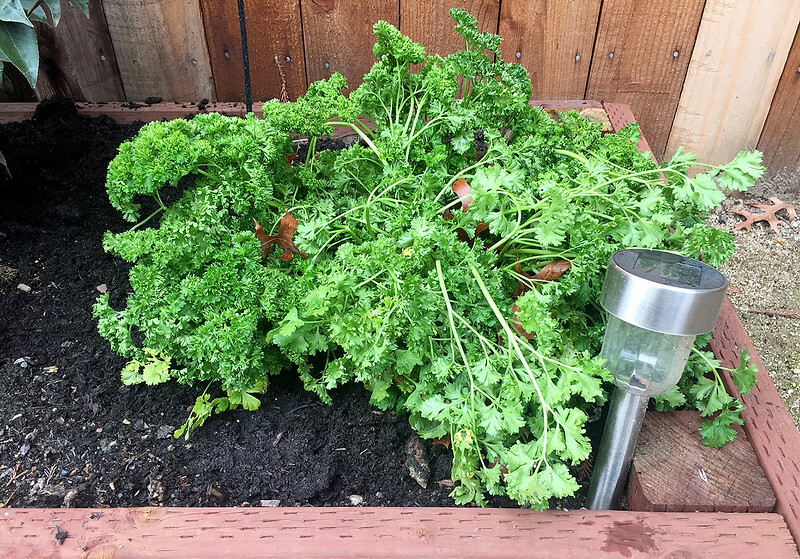 I rescued my parsley plant from the rubbish heap, and replanted it in one of the beds next to the fence, in the spot where Gemma, our wayward cat friend likes to sleep. Sorry Gemma. Our planting beds are ready for planting. Now all we have to do is decide what to plant. We got a late start last year, since the beds didn't exist until July, but we have plenty of time this year. 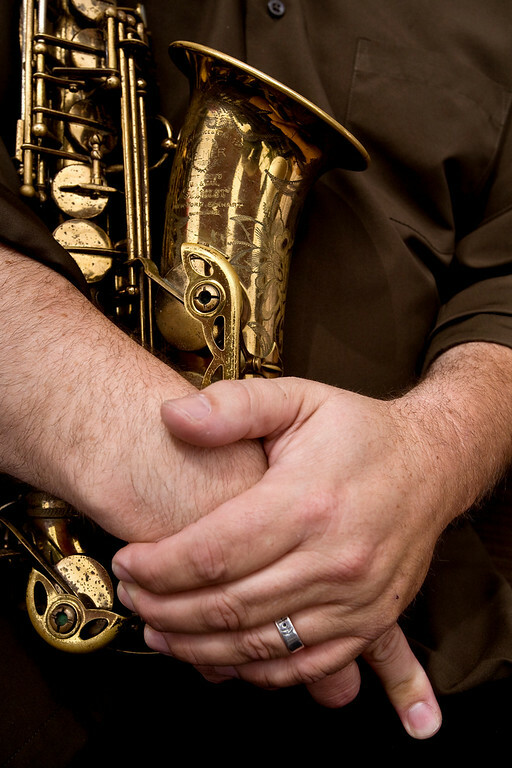 The hands of a sax player, waiting for his cue. I am off to the farmers market, and then to the Bay Area to have lunch with my dad.